15 november, 2014 kl. 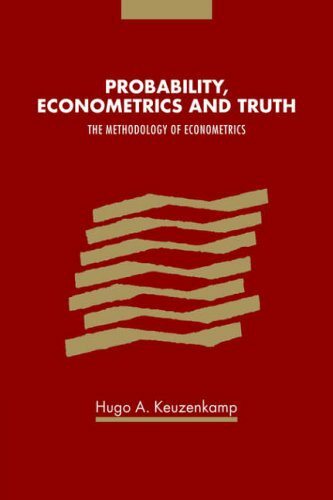 13:14 | Publicerat i Statistics & Econometrics | Kommentarer inaktiverade för What is a statistical model? 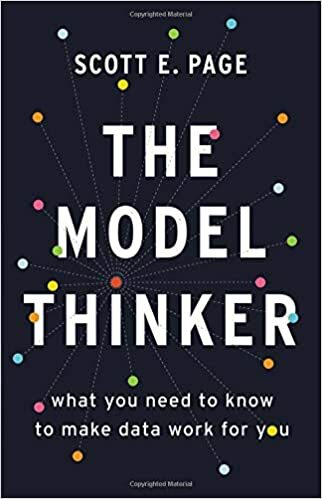 My critique is that the currently accepted notion of a statistical model is not scientific; rather, it is a guess at what might constitute (scientific) reality without the vital element of feedback, that is, without checking the hypothesized, postulated, wished-for, natural-looking (but in fact only guessed) model against that reality. To be blunt, as far as is known today, there is no such thing as a concrete i.i.d. (independent, identically distributed) process, not because this is not desirable, nice, or even beautiful, but because Nature does not seem to be like that … As Bertrand Russell put it at the end of his long life devoted to philosophy, “Roughly speaking, what we know is science and what we don’t know is philosophy.” In the scientific context, but perhaps not in the applied area, I fear statistical modeling today belongs to the realm of philosophy. To make this point seem less erudite, let me rephrase it in cruder terms. 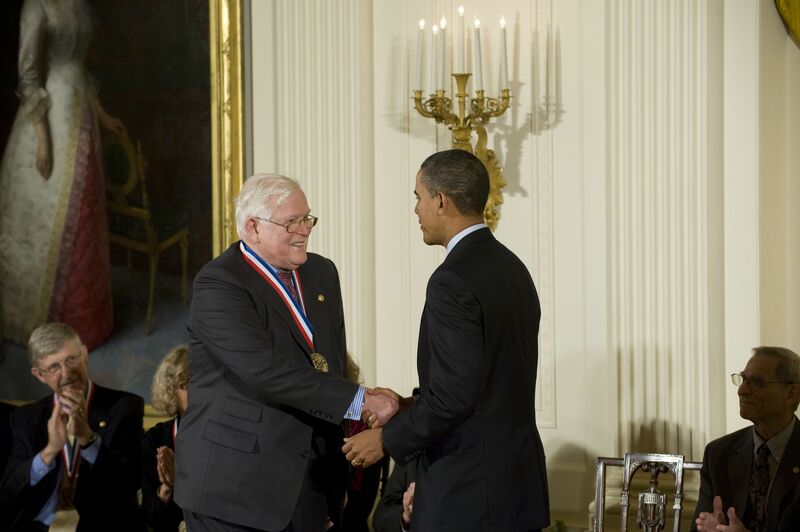 What would a scientist expect from statisticians, once he became interested in statistical problems? 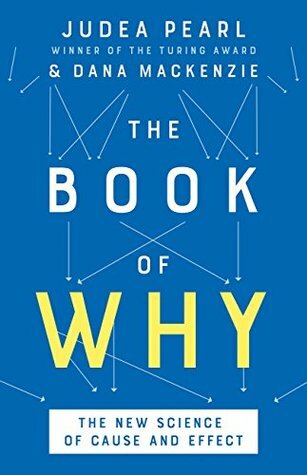 He would ask them to explain to him, in some clear-cut cases, the origin of randomness frequently observed in the real world, and furthermore, when this explanation depended on the device of a model, he would ask them to continue to confront that model with the part of reality that the model was supposed to explain. Something like this was going on three hundred years ago … But in our times the idea somehow got lost when i.i.d. became the pampered new baby. A couple of years ago — in connection with being awarded The Sveriges Riksbank Prize in Economic Sciences in Memory of Alfred Nobel — Thomas Sargent, in an interview with Swedish Television, declared that workers ought to be prepared for having low unemployment compensations in order to get the right incentives to search for jobs. This old mercantilist idea has very little support in research. Still, it’s symptomatic that right-wing politicians and New Classical economists — like Robert Lucas and Thomas Sargent — again and again have been dragging this age-old panancea out of the closet. As their forerunners in the 1920s, they suggest that lowering wages is the right medicine to strengthen the competitiveness of their faltering economies, get the economy going, increase employment and create growth that will get rid of the towering debts and create balance in the state budgets. But, intimating that one could solve economic problems by impairing unemployment compensations and wage cuts, in these dire times, should really be taken more as a sign of how low the confidence in our economic system has sunk. Wage cuts and lower unemployment compensation levels – of course – do not save neither competitiveness, nor jobs. Sedan början av 1990-talet har Sverige haft stabilt hög arbetslöshet. Trots otaliga reformer och sänkningar av a-kassa och skatter har arbetslösheten varierat kring ungefär samma nivå hela tiden. De senaste decennierna har den akademiska och politiska debatten kring arbetslöshet dominerats av teorier som menar att arbetslösheten i förlängningen främst beror på villkoren för arbetskraften, såsom a-kassa, fackföreningar och dylikt. Förändringar i efterfrågan på arbetskraft och dylikt kan enligt teorin endast påverka arbetslösheten på kort sikt. Denna föreställning bygger till exempel på tanken att om efterfrågan ökar, så anpassar sig människors förväntningar varpå lönekraven också ökar i motsvarande grad så till den grad att mängden nya jobb som skapas motsvaras av lika många jobb som försvinner, i och med att lönerna blir för höga. Ofta kan man höra politiker och vissa ekonomer prata i såna här sammanhang om vikten av att a-kassa och bidrag är låga så det ”lönar sig att arbeta och dylikt”. Det kanske även låter logiskt, typ ”vem vill jobba om man får pengar gratis”. Empiriska observationer tyder som sagt på att a-kassan inte har någon avgörande inverkan på den totala arbetslösheten i samhället. Varför? En teoretisk förklaring skulle kunna vara att lägre a-kassa visserligen sänker de arbetssökandes krav och sporrar deras jobbsökande. Men samtidigt sänker detta även dessa människors möjligheter att köpa varor och tjänster, vilket därför sänker den totala efterfrågan i samhällsekonomin och därför även efterfrågan på arbetskraft. Sänkt a-kassa medför då både en positiv och negativ inverkan på arbetslösheten och det verkar svårt att avgöra vilken effekt som dominerar. Stock prices have reached what looks like a permanently high plateau. I do not feel there will be soon if ever a 50 or 60 point break from present levels, such as (bears) have predicted. I expect to see the stock market a good deal higher within a few months. My point is that housing prices — since 2007 — seem to have been rather stabilized in relation to disposable incomes. My hypothesis is that we have got a shift to a higher level of housing prices until around 2007 because of the fundamental circumstances that explain the rise in prices, but that in the future we will probably come to see a slower development, more in line with disposable incomes. De senaste två decennierna har Sverige, oavsett regering, haft högre arbetslöshet än vad som var fallet under de tre decennierna dessförinnan. 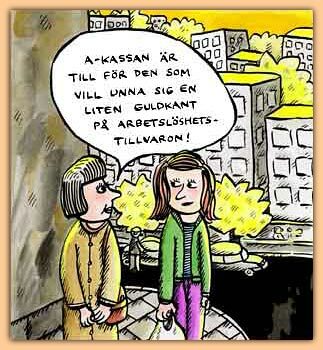 Detta sammanfaller i tid med när penningpolitiken lades om till ensidig inflationsbekämpning. Det är dags att förutsättningslöst pröva denna politik. 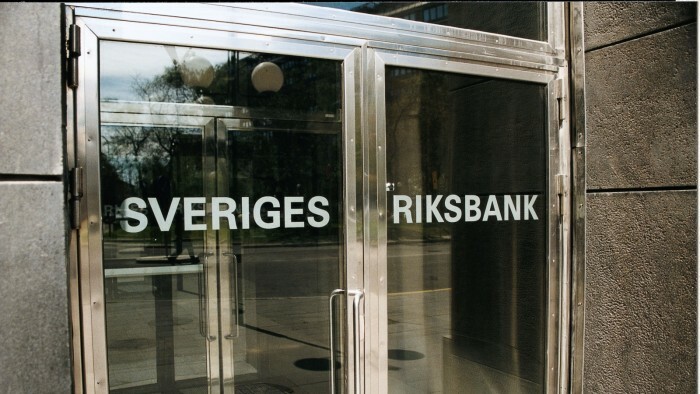 Situationen på 1990-­talet var till stor del ett resultat av den finanskris och ekonomiska turbulens som inledde decenniet. Men det får betraktas som anmärkningsvärt att arbetslösheten därefter enligt de vanliga definitionerna och mätmetoderna aldrig sjunkit under fyra procent, möjligen med undantag för enstaka mycket korta tidsperioder. Enligt standardmodellerna kan penningpolitiken inte sänka arbetslösheten på lång sikt. Förutsättningen för denna slutsats är ett antagande om att investeringstakten inte påverkar arbetslösheten annat än tillfälligt. Det är viktigt att förstå att det inte finns en konsensus inom nationalekonomin rörande hur penningpolitiken bör utformas. Det finns i dag en växande medvetenhet om att de teorier som nuvarande penningpolitik bygger på har brister. Samtidigt har penningpolitikens betydelse för arbetslösheten till stor del lyst med sin frånvaro i Sverige de senaste decennierna. Det är därför hög tid att föra upp dessa frågor på den politiska dagordningen. Regeringen bör snarast tillsätta en utredning som förutsättningslöst prövar frågan utifrån forskningsläget och de senaste decenniernas erfarenheter. What we’re seeing isn’t the rise of a fairly broad class of knowledge workers. 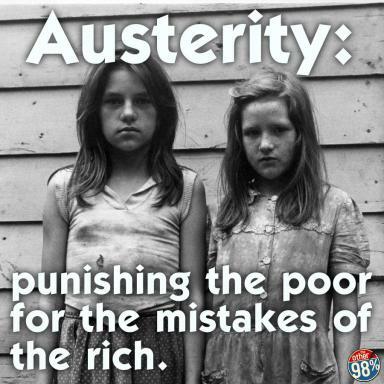 Instead, we’re seeing the rise of a narrow oligarchy: income and wealth are becoming increasingly concentrated in the hands of a small, privileged elite. The factor market most of us know best is the labor market, in which workers are paid for their time. Besides labor, we can think of households as owning and selling the other factors of production to firms. For example, when a corporation pays dividends to its stockholders, who are members of households, it is in effect paying them for the use of the machines and buildings that ultimately belong to those investors. In this case, the transactions are occurring in the capital market, the market in which capital is bought and sold. As we’ll examine in detail later, factor markets ultimately determine an economy’s income distribution, how the total income created in an economy is allocated between less skilled workers, highly skilled workers, and the owners of capital and land [emphasis added]. Looks a little schizophrenic, doesn’t it? Who are we to believe? 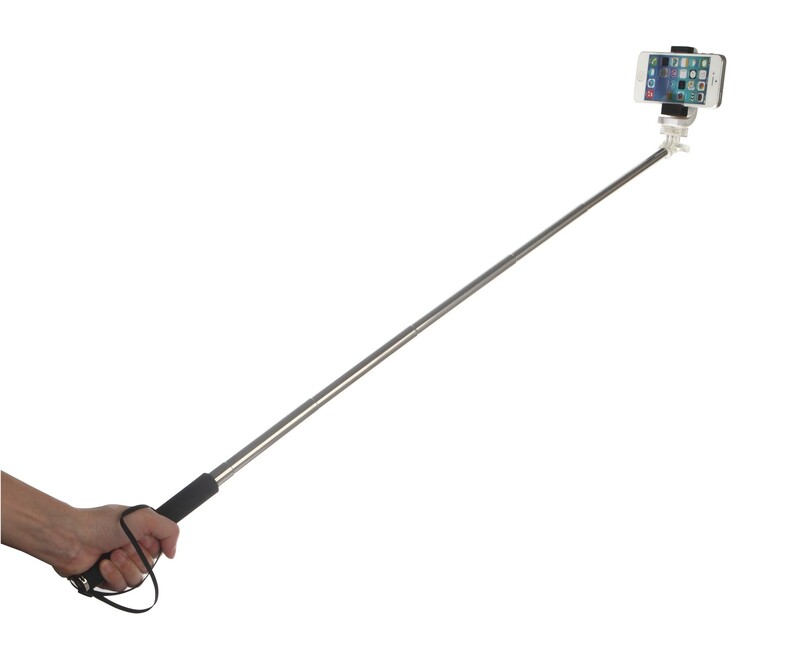 Krugman the blogger or Krugman the textbook gadget modeler? Well, as you know, yours truly is not the least impressed by Krugman’s gadget interpretation of economics, so I go for the first altenative. The rising inequality we have seen for the last 30 years in both the US and elsewhere in Western societies has very little to do with neoclassical gadgets such as aggregate production functions and marginal productivity theory. For a good many years, Tony Lawson has been urging economists to pay attention to their ontological presuppositions. Economists have not paid much attention, perhaps because few of us know what “ontology” means. This branch of philosophy stresses the need to “grasp the nature of the reality” that is the object of study – and to adapt one’s methods of inquiry to it. Economics, it might be argued, has gotten this backwards. We have imposed our pre-conceived methods on economic reality in such manner as to distort our understanding of it. We start from optimal choice and fashion an image of reality to fit it. We transmit this distorted picture of what the world is like to our students by insisting that they learn to perceive the subject matter trough the lenses of our method. The central message of Lawson’s critique of modern economics is that an economy is an “open system” but economists insist on dealing with it as if it were “closed.” Controlled experiments in the natural sciences create closure and in so doing make possible the unambiguous association of “cause” and “effects”. Macroeconomists, in particular, never have the privilege of dealing with systems that are closed in this controlled experiment sense. Our mathematical representations of both individual and system behaviour require the assumption of closure for the models to have determinate solutions. Lawson, consequently, is critical of mathematical economics and, more generally, of the role of deductivism in our field. Even those of us untutored in ontology may reflect that it is not necessarily a reasonable ambition to try to deduce the properties of very large complex systems from a small set of axioms. Our axioms are, after all, a good deal shakier than Euclid’s. optimising behaviour as the “microfoundations” of the enterprise. Models of “optimal choice” render agents as automatons lacking “free will” and thus deprived of choice in any genuine sense. Macrosystems composed of such automatons exclude the possibility of solutions that could be “disequilibria” in any meaningful sense. Whatever happens, they are always in equilibrium. 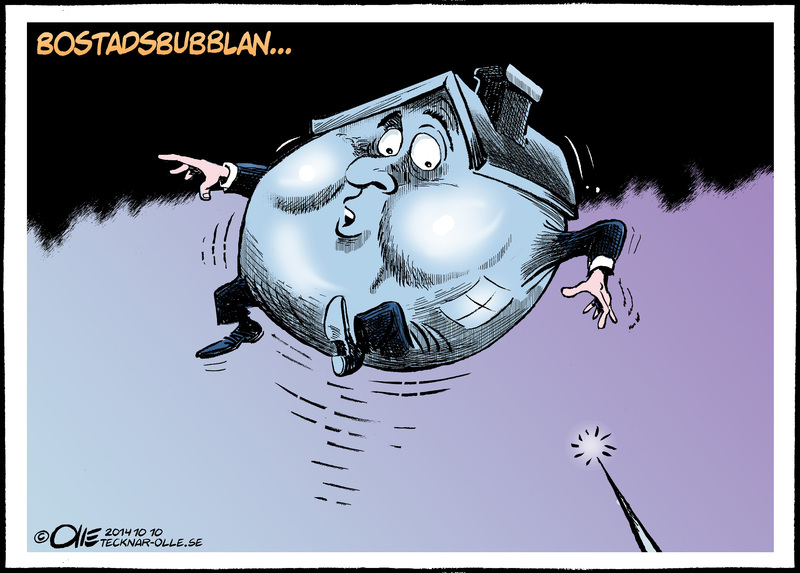 Modern economics has become increasingly irrelevant to the understanding of the real world. In his seminal book Economics and Reality (1997) Tony Lawson traced this irrelevance to the failure of economists to match their deductive-axiomatic methods with their subject. It is — sad to say — as relevant today as it was seventeen years ago. 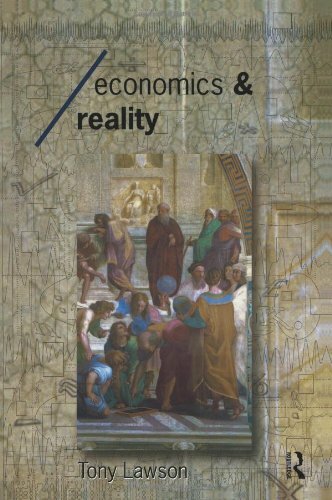 Economics and Reality was a great inspiration to me seventeen years ago. It still is. Frank Roosevelt, a member of the Sarah Lawrence economics faculty since 1977, likens his field to the elephant a group of blind scholars famously tried to describe. Each felt a different part of the animal, and so described a different beast. 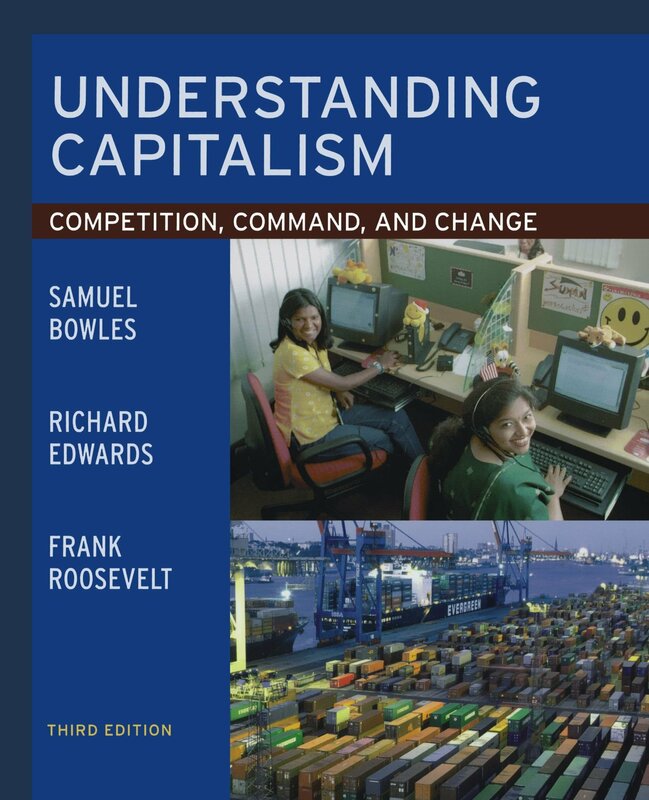 In February, Oxford University Press published the third edition of the introductory economics textbook Understanding Capitalism: Competition, Command, and Change, Roosevelt’s six-and-a-half-year project of rewriting and revision. It’s an untraditional book. Roosevelt is an untraditional economist. Each year, about a million college students take introductory economics courses; their textbooks are selected from among some two dozen on the market. But this apparent magnitude of choices, Roosevelt says, belies the sameness in their explanation of economics. “Class,” for example, is not an independent entry in the index of the most popular traditional textbook. “In our book,” says Roosevelt, “class is not only in the index, but it has more references to it than almost any other word. As a student in the 60’s, Roosevelt was involved in the Civil Rights and anti-war movements, and co-founded a group called the Union for Radical Political Economics. The first edition of Understanding Capitalism (1985) was written by two friends from the Union’s early days, Samuel Bowles and Richard Edwards. Roosevelt began using it right away, giving it equal course time with more traditional textbooks and introducing, he concedes, “a lot of cognitive dissonance” into his classes. To think that the exploding income and wealth inequality that we see around us today can be explained by marginal productivity theory is — to put it gently — an obvious sign of someone having bad luck when trying to think. Tydligen behöver man heta Lars här i världen. 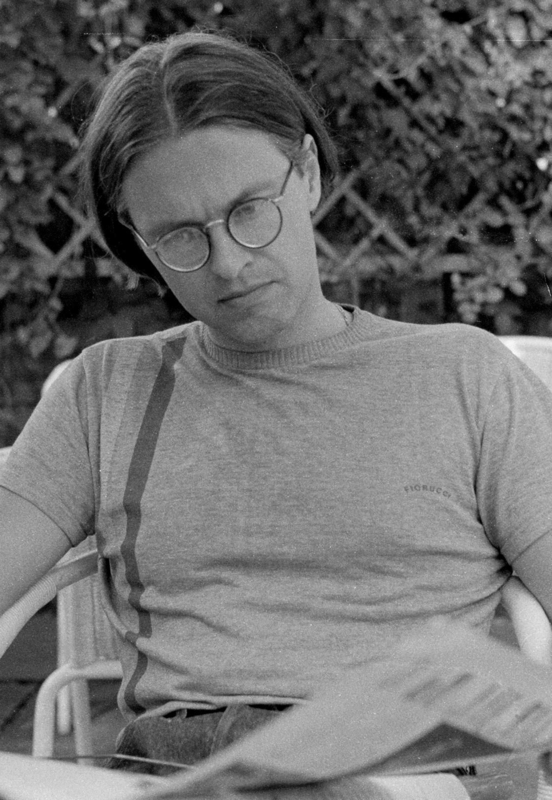 Professor Lars P Syll. Eller professor Lars Jonung, som nu intervjuas hos Schibsted/SvD. Och säger allt som behöver sägas och även sagts här på bloggen så många gånger. 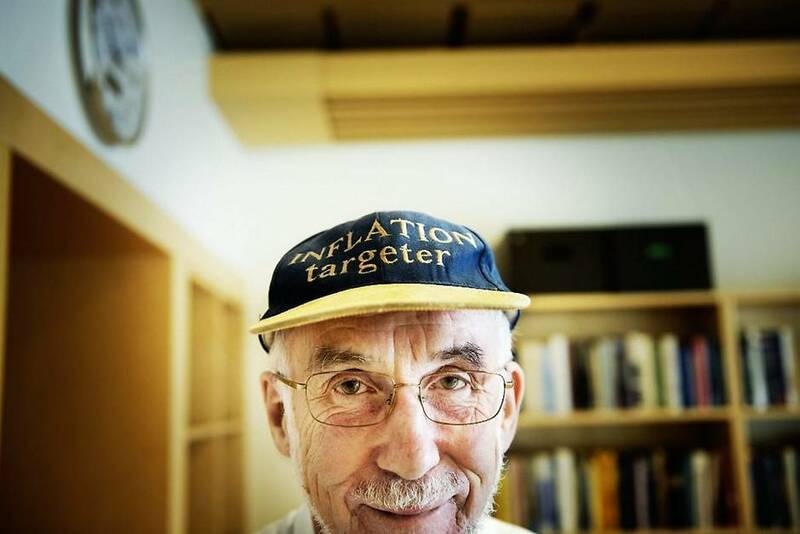 Professor Jonung klarar som alla borde av att se skillnaden på KPI-inflation och tillgångsprisinflation, där den senare är direkt ohälsosam och leder till bubblor och kommande kris. Slutsatsen är att man ska läsa och lyssna på människor som heter Lars. Så länge de inte heter Lars E O Svensson, förstås. Added November 10: Lars E O Svenssons svar på Jonungs kritik. A common mistake amongst Ph.D. students is to place too much weight on the ability of mathematics to solve an economic problem. They take a model off the shelf and add a new twist. A model that began as an elegant piece of machinery designed to illustrate a particular economic issue, goes through five or six amendments from one paper to the next. By the time it reaches the n’th iteration it looks like a dog designed by committee. Mathematics doesn’t solve economic problems. Economists solve economic problems. My advice: never formalize a problem with mathematics until you have already figured out the probable answer. Then write a model that formalizes your intuition and beat the mathematics into submission. That last part is where the fun begins because the language of mathematics forces you to make your intuition clear. Sometimes it turns out to be right. Sometimes you will realize your initial guess was mistaken. Always, it is a learning process. Good advice — coming from a professor of economics and fellow of the Econometric Society and research associate of the NBER — well worth following. Kent Werne intervjuade igår Mark Blyth och yours truly apropå Europas — och Sveriges — problem att få fart på ekonomin och riskerna med att ensidigt förlita sig på en förlegad penning-politik. Resultatet kan du läsa i Dagens ETC. General equilibrium is fundamental to economics on a more normative level as well. A story about Adam Smith, the invisible hand, and the merits of markets pervades introductory textbooks, classroom teaching, and contemporary political discourse. The intellectual foundation of this story rests on general equilibrium, not on the latest mathematical excursions. 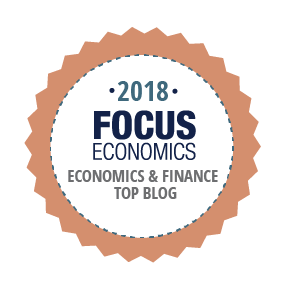 If the foundation of everyone’s favourite economics story is now known to be unsound — and according to some, uninteresting as well — then the profession owes the world a bit of an explanation. 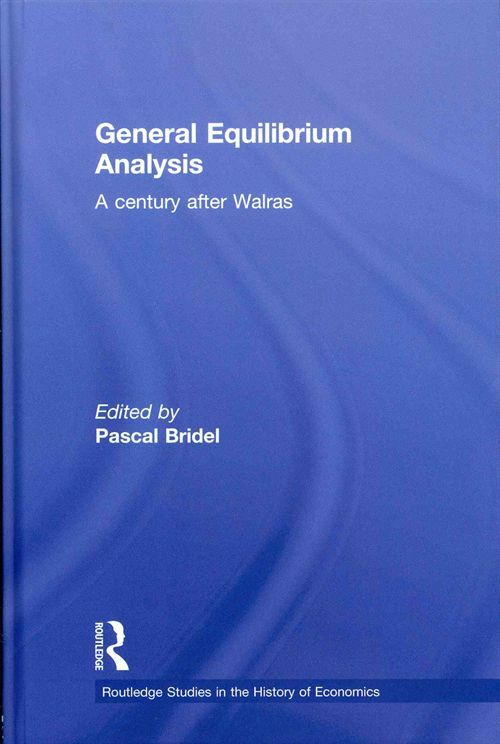 Almost a century and a half after Léon Walras founded general equilibrium theory, economists still have not been able to show that markets lead economies to equilibria. 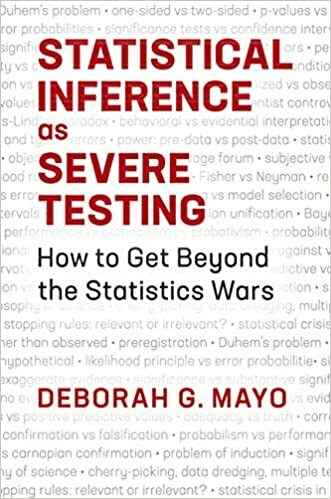 We do know that — under very restrictive assumptions — equilibria do exist, are unique and are Pareto-efficient. But after reading Frank Ackerman’s article — or Franklin M. Fisher’s The stability of general equilibrium – what do we know and why is it important? — one has to ask oneself — what good does that do? As long as we cannot show, except under exceedingly special assumptions, that there are convincing reasons to suppose there are forces which lead economies to equilibria — the value of general equilibrium theory is nil. As long as we cannot really demonstrate that there are forces operating — under reasonable, relevant and at least mildly realistic conditions — at moving markets to equilibria, there cannot really be any sustainable reason for anyone to pay any interest or attention to this theory. A stability that can only be proved by assuming ”Santa Claus” conditions is of no avail. Most people do not believe in Santa Claus anymore. And for good reasons. Santa Claus is for kids, and general equilibrium economists ought to grow up, leaving their Santa Claus economics in the dustbin of history. The guaranteed optimality of market outcomes and laissez-faire policies died with general equilibrium. If economic stability rests on exogenous social and political forces, then it is surely appropriate to debate the desirable extent of intervention in the market — in part, in order to rescue the market fromits own instability.